The changing seasons are upon us, meaning allergies, colds and the flu are quick to follow. Taking care of our bodies as we move from warm weather to the colder and dryer months is extremely important. 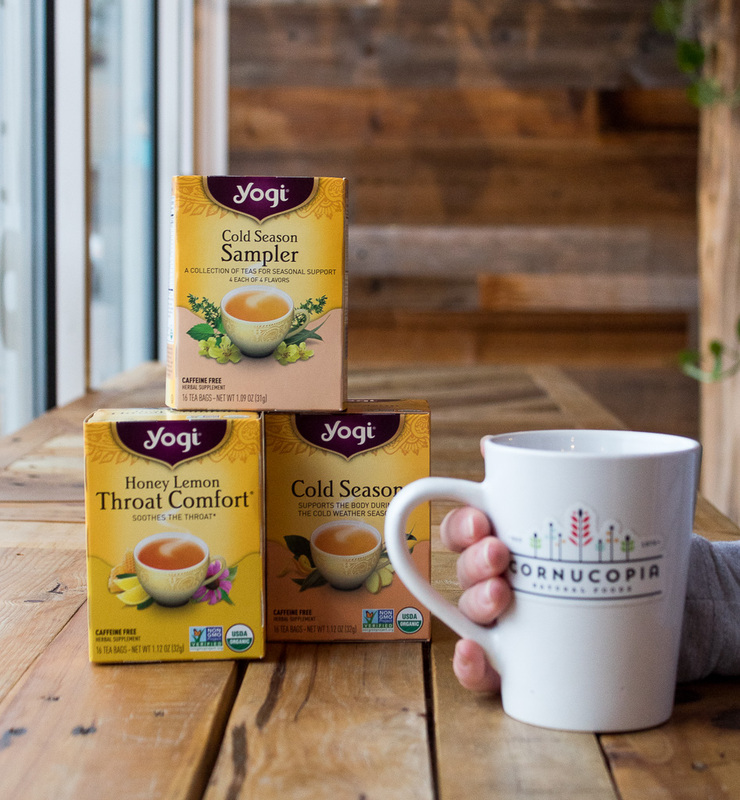 Whether you’re looking to prevent sickness or stop it from getting worse, we compiled a few of our best tips to stay healthy this time of year. Keep reading to see what easy lifestyle habits and additions we recommend! As the weather gets colder, keeping your body hydrated will make sure everything is running properly. But you don’t need to stick with plain old water, this is great way to incorporate extra good-for-you ingredients. Starting your morning with hot lemon water and manuka honey will give your body a immune-boosting, antimicrobial hit ready to tackle the day. Tea is also a great way to hydrate while including immune-boosting ingredients. We have a bunch of blends that are extra helpful for this time of year. 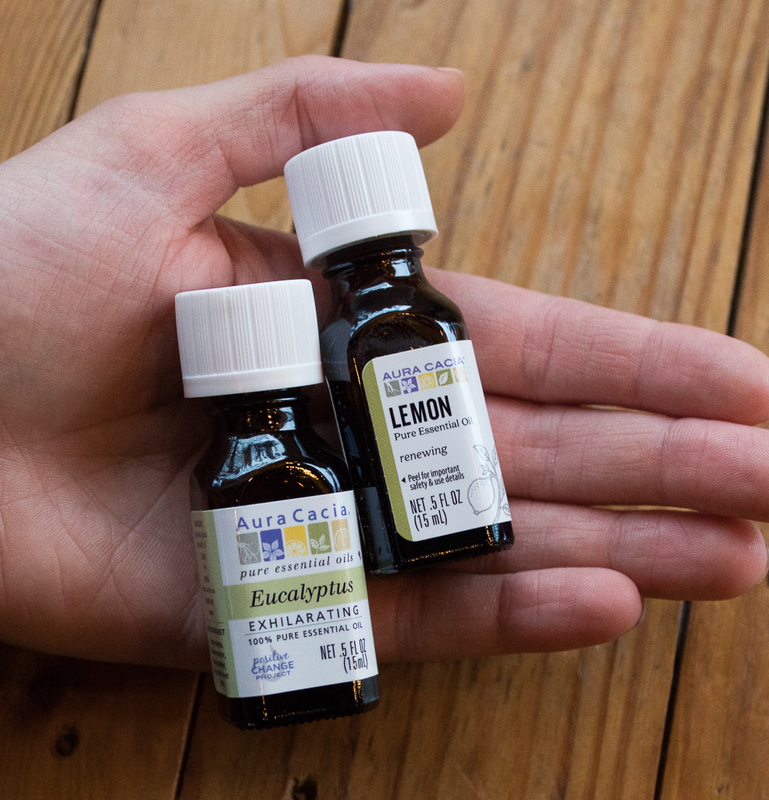 We just touched on how great essential oils can be for your overall wellness, but they can also serve as great additions to your cold-busting tool kit. Options such as Eucalyptus oil are great for clearing congestion ad coughs. Peppermint oil is another option for coughs and congestion as its a natural source of menthol. Lemon oil can be added to your morning water offering its high antioxidant and antibacterial properties. 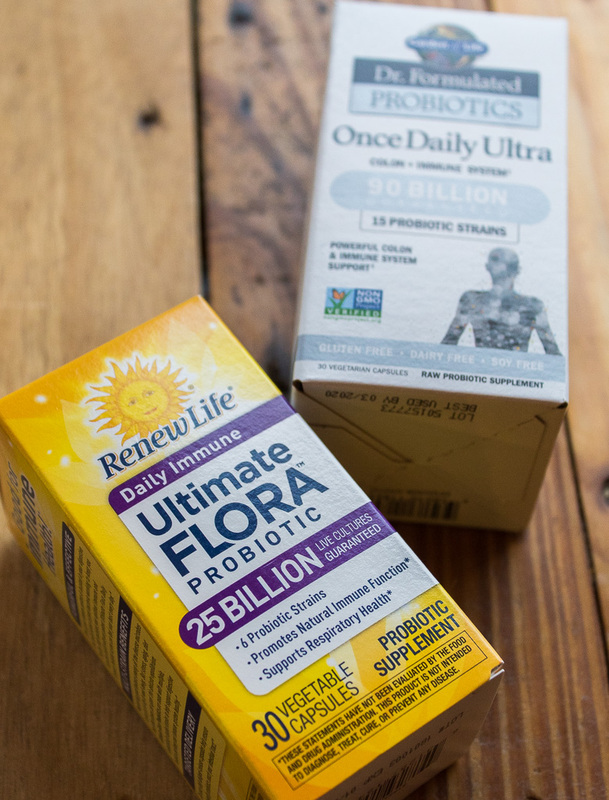 Many people reach for probiotics when experiencing digestion discomfort, but they are just as important for your immune system. With about 70% of the immune system concentrated in your microbiome, or gut, making sure this area is healthy is important for overall immunity and inflammation. Not all strains are the same, so we suggest looking for immune-specific supplements, such as Garden of LIfe’s Immune blend. 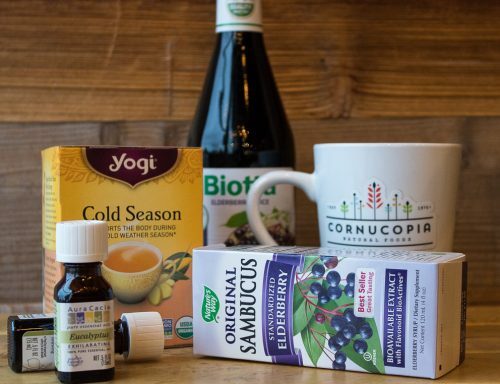 Continuing with supplementation, including an immune-boosting supplement can make a huge difference for both preventing and recovering from a cold or flu. 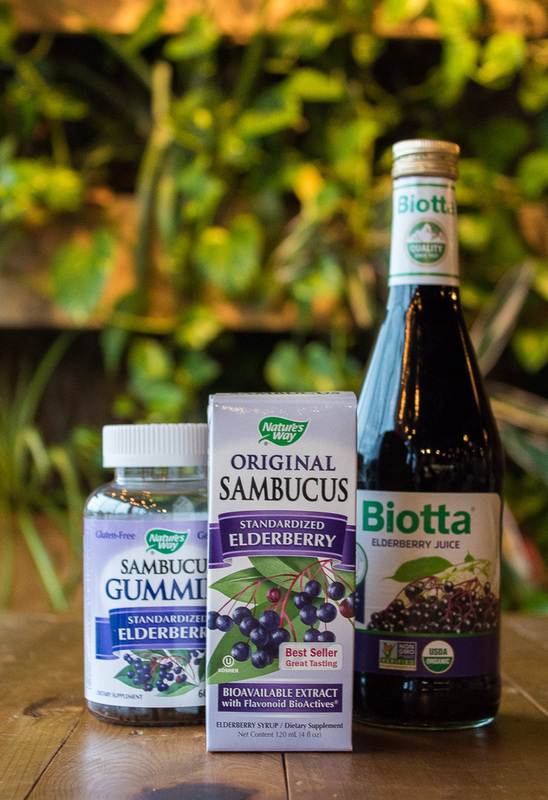 One of our favorites is Elderberry, such as Sambucus. This potent berry is high in anthocyanins and antioxidants, is antiviral and can signal immune responses. We suggest taking it on the onset of symptoms to shorten the duration of illness. Taking elderberry is specifically helpful for flue and upper respiratory infections. Who doesn’t want soup when they’re feeling sick? 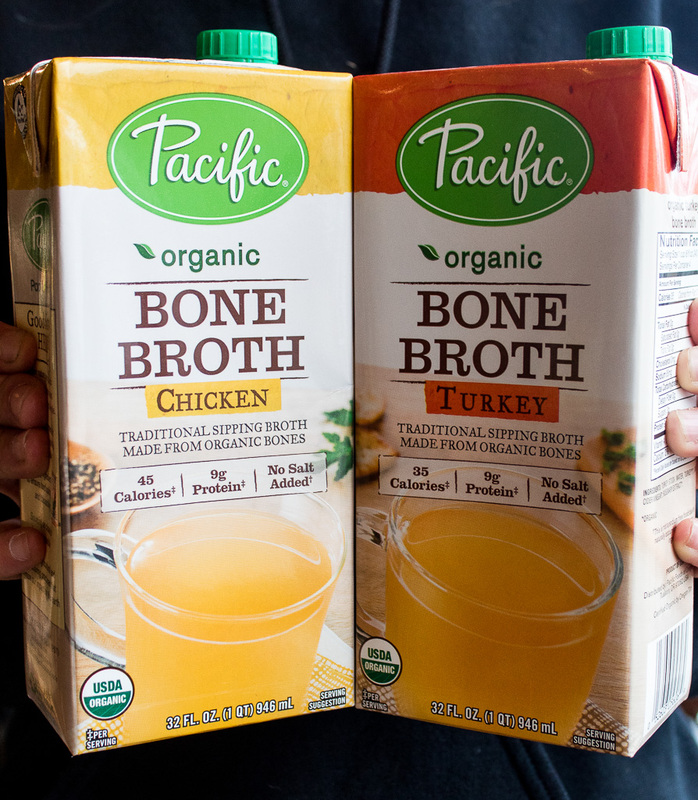 Sipping on bone broth or using it as the base of your soup kicks up the health benefits of everyone’s beloved chicken noodle. It is high in gut-healing compound such as collagen and glutamine, supporting the immune system and reducing inflammation. It is also high in nutrients and minerals that are easily absorbed by the body, which is great for when our bodies are already working extra. What we eat makes a huge difference, especially as the seasons change. Eating local and in-season produce can help the body adapt properly. 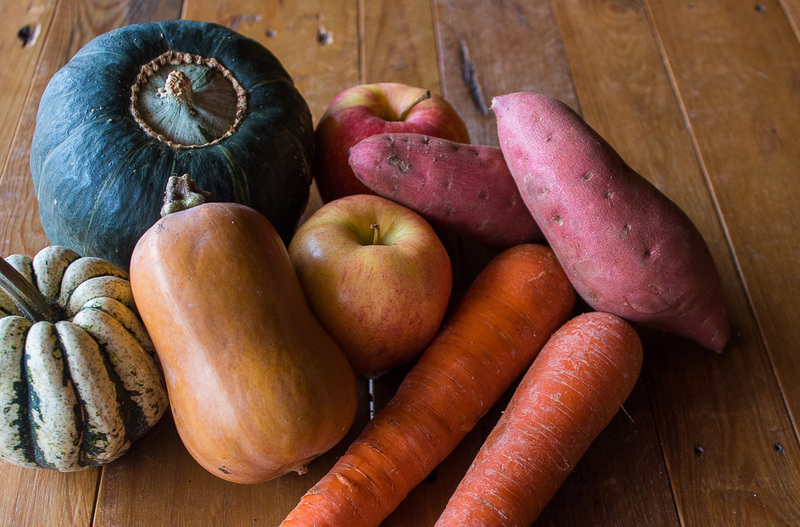 Loading up on vitamin-rich produce like sweet potatoes, squash, carrots and cruciferous vegetables can all boost the immune system and prepare your body for the upcoming colder temperatures.